As boaters begin to take steps to minimize their carbon footprints and become a bit more “green,” they’re considering clean and renewable energy like wind and solar to produce electricity when they can’t plug in or don’t want to run the generator. However, renewable electricity can’t be produced on demand if the elements don’t conspire, so it has to be generated when the conditions are right, with any excess being stored in a battery bank. When the batteries are getting low and there isn’t sufficient wind or sun, boaters run the main engine or a generator to replenish the charge, so they are right back in the carbon corner. But what if there’s a “magic box” that charges batteries any old time without the noise and the smoke? Enter fuel cells, a kind of “wundertechnology” that can do just that. Instead of using internal combustion, these cells catalyze a reactant, like hydrogen or alcohol, and an oxidant (i.e., oxygen) into electricity. They have been around for a while — fuel cells are used in space flight — but they have been too expensive for consumer use. However, like so many other technologies, fuel cells are getting better, smaller and more affordable, so they are poised to show up in the leisure market. And why not? No emissions, no noise — and no generator-induced insomnia — no bulk (good for boats and RVs), no need to plug in and no waiting for the wind to blow or the sun to shine. 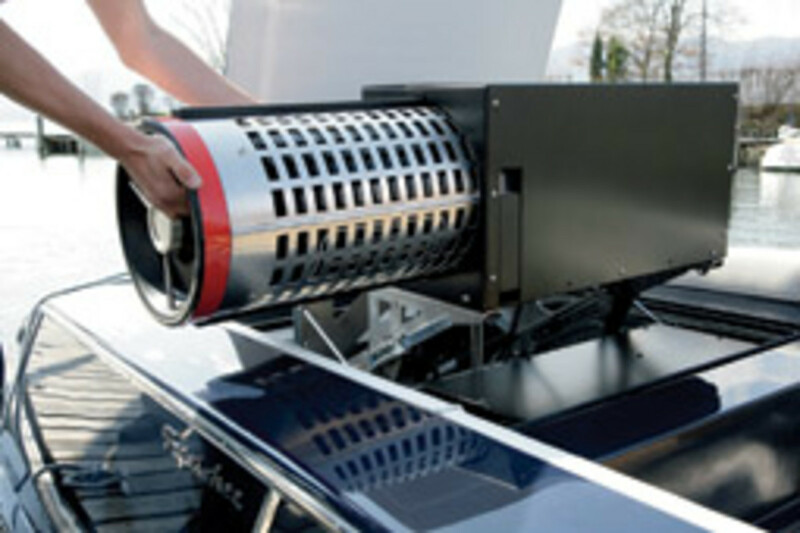 German manufacturer Smart Fuel Cell AG is expanding into the United States with its Energy For You, or EFOY, fuel cells, which are marketed by US Marine Products of Dedham, Mass. EFOY cells use methyl alcohol as a reactant and have won several industry awards. They are available in sizes from 600 to 2,200 watt hours, which translates into a charging capacity of 50 to 180 ampere hours per day. That’s way below what you could get from a generator, but it’s enough to serve small to midsize vessels with limited house loads. They are also found in electric vehicles, as backups for emergency services, as an energy source for remote surveillance cameras and in scientific measuring and monitoring systems. 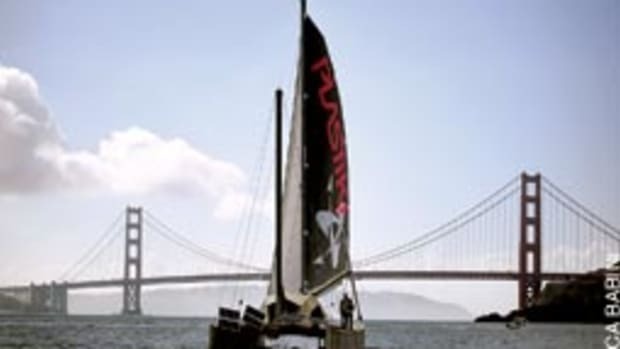 Podesser believes that unique customer benefits, such as quiet and zero-emission operation and “independence from grid and weather,” will drive acceptance in the marine market. The biggest challenge is convincing early adopters to shell out a premium for advanced technology when they can get more charging capacity for a lot less by buying a gasoline or diesel generator. That’s one of the reasons West Marine discontinued an OEM version of the EFOY cells. “Cost per kilowatt hour is still incredibly expensive, while alternative power sources such as solar, wind and alternator are much more cost-effective,” says Dave Ungerecht, senior category manager at West Marine. He also points out that the cost of the prepackaged methanol could be a deterrent. US Marine Products’ advertised retail prices range from $4,200 for a 600-watt-hour EFOY cell to $9,500 for the 2,200-watt-hour model. The 2.6-gallon custom plastic container of methanol sells for around $39. “To succeed, the technology has to be competitively priced and win the customer’s trust,” says US Marine Products president David Mochi. Mochi says he plans to offer a wiring kit and a controller that boatbuilders can install to make their vessels “fuel-cell ready.” And he envisions a replacement scheme for the methanol canisters, which now end up in recycling, that’s similar to the propane tank exchange system. 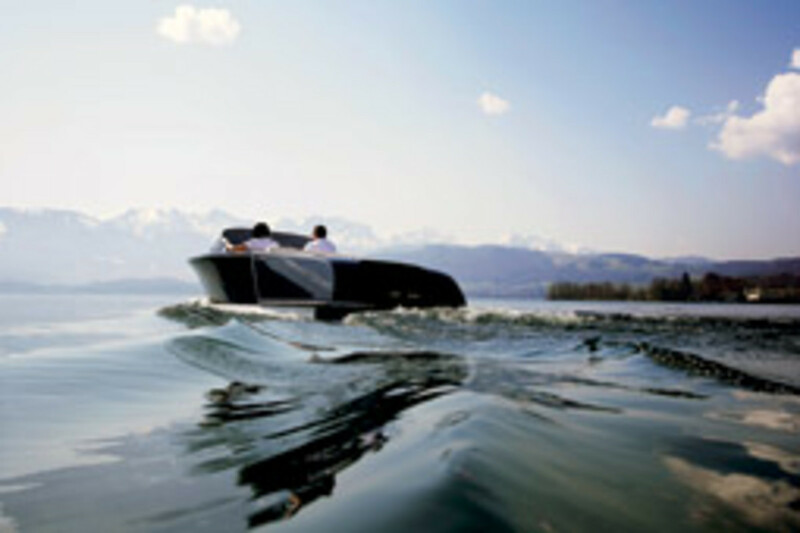 The boat’s 7-gallon high-pressure hydrogen tank packs 7 cubic meters (247 cubic feet) of hydrogen at 350 bar (around 5,000 psi). That’s good for a range of 50 nautical miles at a cruising speed of 4 knots, twice as far as the same boat would go on AGM batteries. Hydrogen cartridges can be switched on the fly to extend the range to 100 miles. This progress is the result of Future Project Hydrogen, financed by the European Union. But for fuel cells to catch on in the mass market, fuel distribution is essential. “We plan to offer two refueling systems,” says Michael Schubert, the project manager at Fronius, an international company that participated in the project and developed the fuel cell. 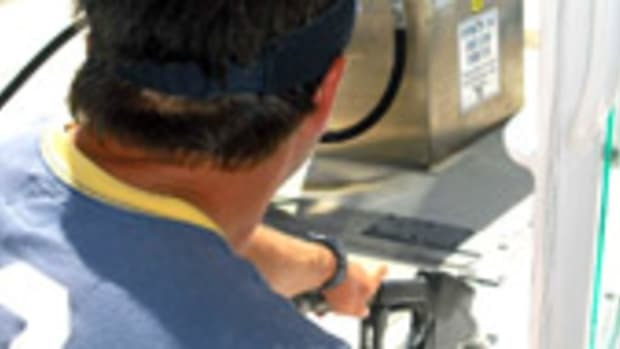 “One is a cartridge exchange; the other is a dockside fueling station that has hydrogen instead of gasoline pumps.” The idea is to market an integrated concept, not just a boat. To ensure safe handling of hydrogen — an abundant but potentially dangerous chemical element — Fronius engineered automated safety systems to prevent leakage and minimize the risk of explosion. It’s similar to refueling a natural gas vehicle, Schubert says. Fuel cells have been moving into the mainstream with the help of people like Jim Harrington, an award-winning inventor and engineer who runs AGO Environmental in Victoria, British Columbia. Harrington installed Canada’s first auxiliary fuel-cell propulsion system in his little sailing sloop and transformed his boating experience. 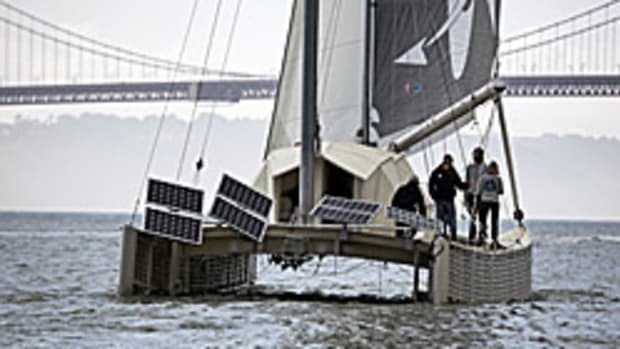 With business partner Ian Soutar, Harrington converted old gasoline outboards to electric power, built fuel-cell-assisted bicycles, and plans to connect the forced-air heating in his house to a fuel cell. He also made sensors to measure methane ice on the sea floor off Vancouver Island, and is trying to figure out how to convert it into hydrogen and electricity with the help of fuel cells. To become mainstream, fuel cells need to shed their image of being a $64 tomato so they can become a true alternative to generators. That might not be a walk in the park, but it’s been happening. Mochi thinks the path to commercial success will lead through OEMs and aftermarket applications, and he cites DC outlets in cars. “They used to be rare, but now they are common and cheap because people want to power their gadgets,” he says. And that’s precisely what fuel cells are built to do — quietly and without adding greenhouse gas to the atmosphere.